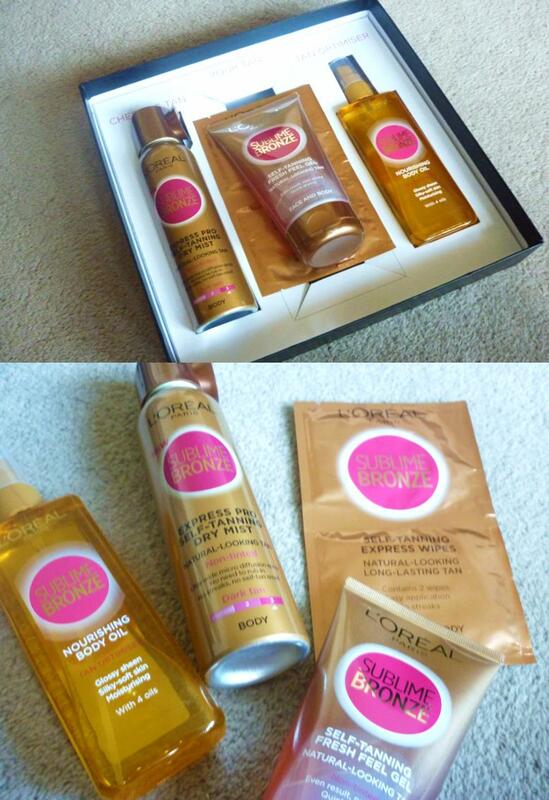 L'Oreal Paris Sublime Bronze range - products available in Boots or Superdrug. Hello girls, how is your week going? As promised I'm diving straight in with my L'Oreal review - as you all know I went to their incredible Sublime Tanning launch last week. As well as standing next to the giant picture of Cheryl (one day I'll meet her!) 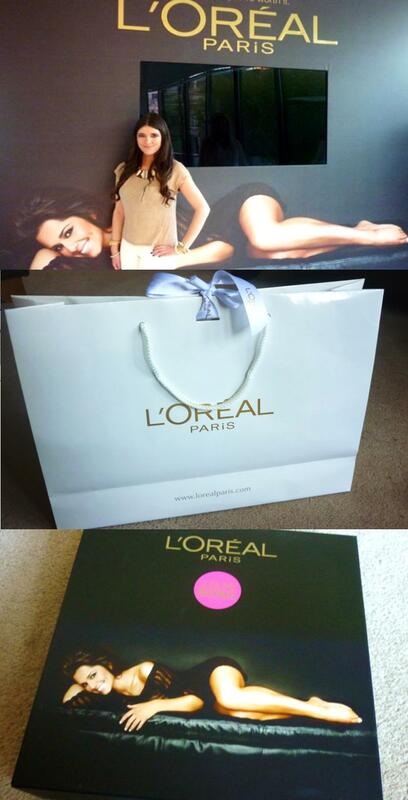 I also got to see the entire new range of products that L'Oreal are releasing this year. We were lucky enough to have goodie bags and inside included Self-Tanning Fresh Feel Gel, Nourishing Body Oil, Self-Tanning Express Wipes and Express Pro-Self-Tanning Dry Mist. Now I've always said I liked to use oils before applying my tan to create a more silky and smooth effect, but after talking to Charlotte Conneley I found out that using oil before you apply tan creates a barrier that makes the tan not sink into your skin properly. But L'Oreal have got a special tanning oil called Nourishing Body Oil that you can apply after to your tan. It creates that gorgeous shine that you see on all the razor adverts...I'm easily pleased with shiny legs. What I love about the L'Oreal tanning range is that it's not rocket science, you don't have to apply it in a certain way to get no streaks, the tan formula blends well enough so you don't have to worry about it!